Virat Kohli Found An Adorable Way To Keep His Wedding Ring Close During Match Practice! Indian skipper Virat Kohli is every girl's dream boy. His irresistible charm, unfading chivalry, and loving nature have won him hearts from all over the world! And now the dapper boy has given us another reason to fall for him. Any guesses? 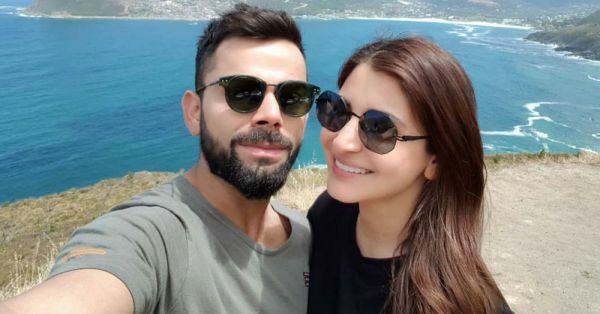 Well, Virat and Anushka are currently in South Africa for Virat's upcoming cricket series. During practice sessions, Virat couldn't wear his wedding ring that his beloved wife Anushka Sharma gave him because of the cricket gloves. But Mr Kohli wouldn't let the precious thing away from him even for a bit. Therefore, he found an interesting way to keep it close to him. He wore it as a pendant around his neck! Now isn't that adorable? Take a look for yourself! Anushka is indeed a lucky girl!